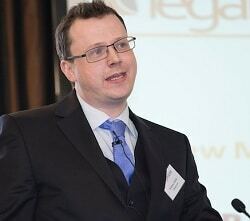 A law firm regulated by the Chartered Institute of Legal Executives (CILEx) is aiming to supervise the training of solicitors in what is understood to be the first move of its kind. Natasha Lewis, a CILEx fellow and joint senior partner of Lewis Denley, said the Solicitors Regulation Authority (SRA) told her it was “not a problem” for her to offer training contracts. Ms Lewis said her firm employed five solicitors out of a total of nine staff and she was the only chartered legal executive. She said her intention was to become a “dual-qualified” fellow of CILEx and a solicitor, and to train both solicitors and chartered legal executives. Ms Lewis, aged 28, said that having worked as a paralegal for five years and taken the legal practice course, she would “love to watch people develop their careers”. 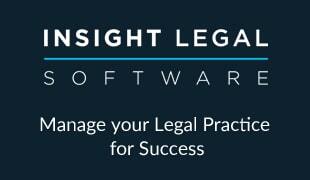 She set up Lewis Denley in Horsham, Sussex, last July with joint senior partner Colin Secomb. Equity in the firm is split equally between her and Mr Secomb, an Australian solicitor who qualified through the transfer test. Since he had not practiced here for three years, the firm was not eligible to be regulated by the SRA. Ms Lewis said the firm had grown so quickly in six months that it had moved offices within the same building in Horsham three times. As a result, it was regularly contacted by people wanting to invest in law firms, including private equity houses. Lewis Denley specialises in residential and commercial conveyancing, landlord and tenant and general commercial work. Ms Lewis said she expected the firm to double in size this year, and open an office in London. She did not rule out being regulated as an alternative business structure by the SRA, although CILEx is applying to be a licensing authority too. In a separate development, a law firm regulated by the Bar Standards Board (BSB) has started a pupillage scheme, in what might well also be a first. Andrew McKie, director of Barrister-Direct, said there were 300 applications for the pupillage last autumn. The successful candidate had worked at the firm as a paralegal for the past two years. He said that, under the rules, all pupillages must be advertised openly on the Pupillage Portal. Mr McKie said the “ethos” of the firm, which was approved as a BSB entity in 2015, was to try and diversify away from pure personal injury, bearing in mind the post-LASPO regime and anticipated increase in the small claims limits. He said the firm had moved into clinical negligence, holiday sickness litigation, financial mis-selling and housing claims, particularly those based on cavity walls. He said Barrister-Direct, based in Manchester, had recently applied to become an alternative business structure regulated by the BSB. He added that demand for ABS licences from the BSB was high, and it might take three to six months to process his application. Barrister-Direct said last spring it had acquired more than 800 clients in less than 18 months, making it the largest BSB entity in the country. There are currently six ABSs on the BSB’s register including one, Marlborough Law, which we revealed last week is run by solicitors and not involving barristers at all. I’m unsurprised to read this. This move is a further example of the erosion of the solicitor brand. This further blurring of the lines between licensed conveyancers is a further indicator of the change occurring within the industry. With this in mind and the daily erosion of market by smart ABS players, traditional providers of legal services must focus on the requirement for them to raise the stakes and prove the value of that which solicitors and barristers deliver. Never has professionalism, ethics and the ability to make ourselves heard been more important. As a CILEx fellow, I am inspired by Natasha Lewis. . Well done to her and her team for having the drive and ambition to overcome prejudice in the profession and create a vibrant business model that is clearly delivering great results and expanding. No sign of erosion of the brand at all in my view.